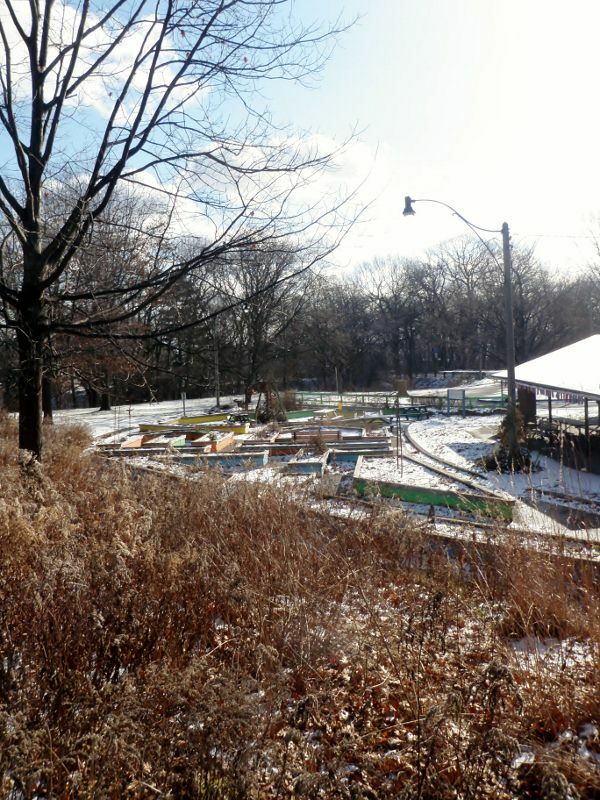 Have you ever wondered what the High Park Children’s Garden looks like during the winter? Have any of you hiked through High Park in the winter? It’s a beautiful time to visit and an amazing time of year to explore the Park. This is just the minor dusting of snow we received over the past week. 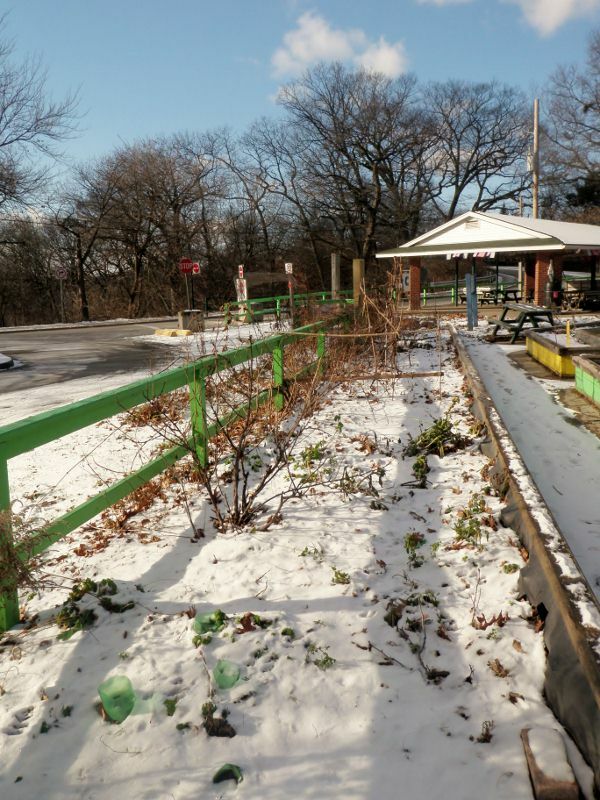 Some years the snow has been as deep as the garden beds. We’re lucky that the garden is so well protected by the surrounding trees. It provides us with a little micro-climate for the plants. That means we can start growing a little earlier in the spring and keep growing a little later in the fall. Being so close to Lake Ontario also helps 🙂 We can grow a few tender perennials that would normally not survive through the winter in Toronto. Now this little fellow is a very hardy perennial. It’s called Lamb’s Ear and we grow it at the garden for its super fuzzy fun leaves. The children love to touch the soft velvety leaves and to be honest most staff can’t pass by without touching it either! It gives participants a completely different way to interact with the garden. Lamb’s Ear is hardy to Zone 3. Ever wonder what Plant Hardiness Zones are? Basically it’s a mapping system that helps you figure out if a plant will survive the winter in your area. Zone 0 is up around the North Pole and Zone 11 is down around the South end of Mexico. Toronto is generally considered Zone 5. Here’s a great Natural Resources Canada Site to help you figure out your own zone and what plants will work best in your garden. 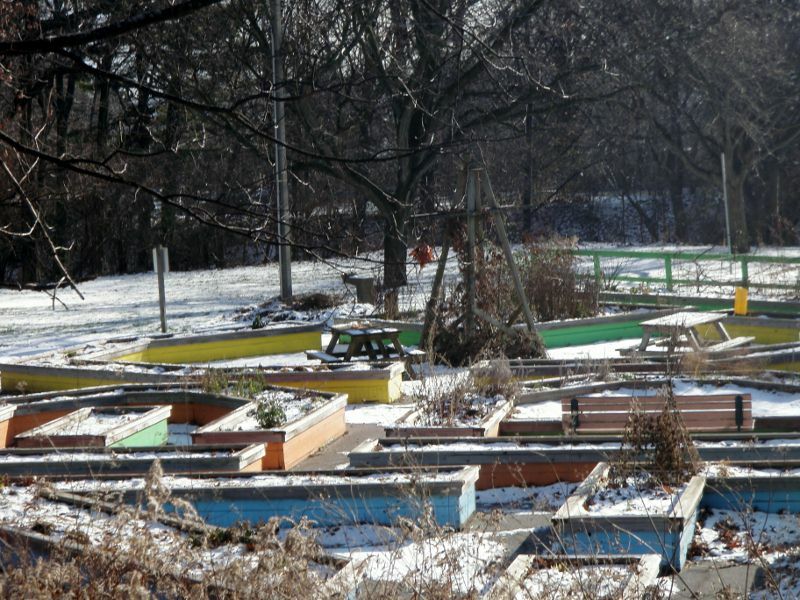 The High Park Children’s Garden can grow a few of the plants that are hardy only to zone 6 due to its protected and full sun location. Our Waterfront Children’s Garden is also a good spot to grow plants that are only hardy to Zone 6 . . . we’ve even managed a couple of Zone 7 plants down there. It’s right on the Lake and has a protected little sunny corner. This is also a great time of year to give the Fedge (Food Hedge 😉 ) a good haircut! The grapevine and the ﻿Virgin’s Bower (native clematis) went a little nuts this summer and took over a large part of the Fedge. The hops at the far end was cut back 3 times throughout the summer to keep it from strangling the gooseberries. Our gooseberry bushes were moved around a bit to give them more room (far end of picture) and this past summer was the first official time we’ve had berries on those bushes! They were put in over 7 years ago, at one point it looked like a lost cause! We never gave up hope and fortunately all of our patience paid off. The berries were tasty and tart . . . the older campers were brave enough to face the thorns on the gooseberry bushes and picked berries for everyone. We even had the chance to use some in the Fruit Crisp we served at the Harvest Festival this year. Here’s another fun thing about High Park in winter . . . it’s a great time to learn more about the animals living in the park. Can you guess who made these tracks? They’re an extremely common critter found all over Toronto. They have bushy tails and can often be found raiding your bird feeder! If you guessed squirrel you’re correct! If you guessed rabbit . . . well you’re close (although apparently didn’t pay attention to the bird feeder clue 😉 ). 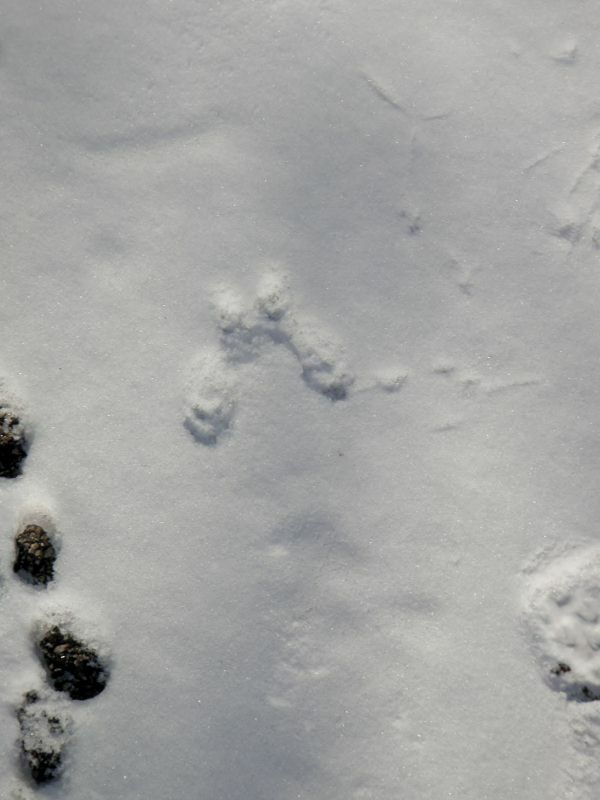 Squirrel and rabbit tracks are very similar. 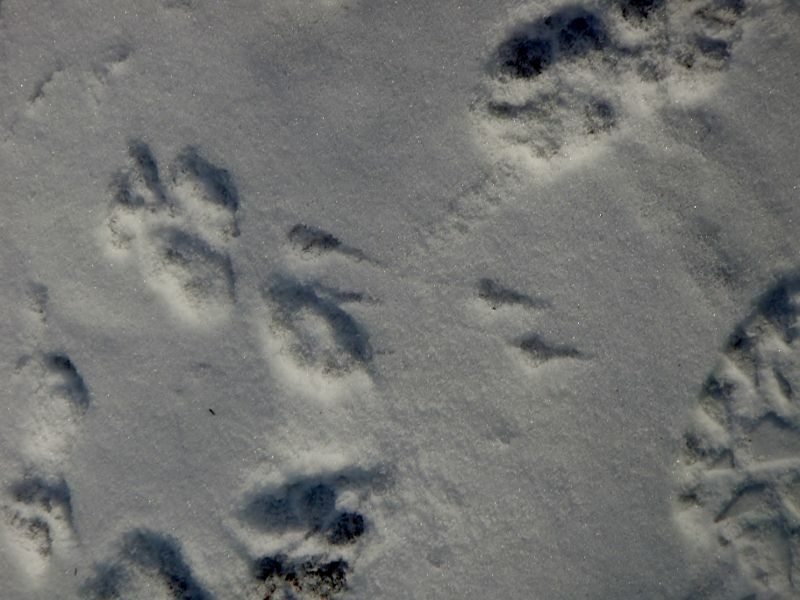 The biggest difference is that squirrel tracks have both front paws (smaller imprints in centre) together while rabbit tracks have one front paw track in front of the other. Check out the Canadian Wildlife Federation Site for more info on winter tracking. 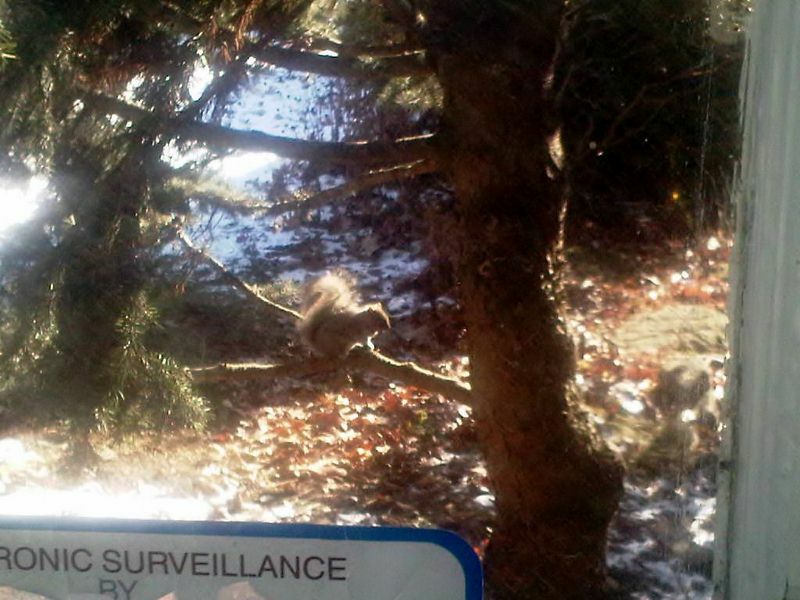 Can you tell which direction the squirrel was going in that previous picture? He was traveling towards the bottom of the picture. Their front paws land first and then their back paws land in front on either side. Think of how you play leap-frog . . . you plant your hands first then bring your legs forward (and hopefully over the person you’re leap frogging! 🙂 ). Next time you’re out and about in the snow take a look at all the different tracks you can see . . . there are at least 4 different sets in this one . . . including mine 😉 The little triangular ones towards the centre are bird tracks, there are larger dog tracks and smaller dog-like tracks that could be from a fox (centre crossing the bird tracks). Plus that one rather common track at the far left corner . . . our friend the squirrel. There’s plenty of fun to be had in the park this winter (tobogganing, skating, hiking, birdwatching) so pile on those layers and get on out here! Previous Post A Great Big Thank You!